05:15 Hrs - Morning our representative pick up from your hotel in Delhi / Gurgaon / Noida and transfer to New Delhi Railway Station where you board your Superfast Deluxe Train to City of Taj Mahal, Agra. 06:00 Hrs – Your Superfast fully air-conditioned Deluxe Train (Train No. 12002) departs from Delhi to Agra Cantt Railway Station (AGC). (Breakfast will be served on board and during your 2hrs journey enjoy the countryside). 08:45 Hrs - Visit - The Legendary Taj Mahal (A Unesco World Heritage Site), No trip to Agra would be complete without a visit to this shimmering vision of domes and minarets. The world's best-known tomb stands testimony to the timeless love story of the 17th century Mughal Emperor, Shah Jahan and his queen Mumtaz Mahal. (Taj Mahal remain closed on every Friday). 11:30 Hrs - Visit - The Imposing Agra Fort (A Unesco World Heritage Site), Built by Emperor Akbar in 1565 A.D, this huge fort is made of red sandstone. The elegant buildings inside reflect an interesting synthesis of Hindu and Central Asian architectural styles. The maze of the courtyards, mosques & private chambers of the fort echo the story of the Mughal Empire. 13:00 Hrs - Lunch Break, Lunch will be provided at one of the best Local Restaurant. 14:00 Hrs – Leave for Excursion to Fatehpur Sikri (a UNESCO World Heritage Site) is 01 Hrs drive from Agra. It has been described as “the world’s most perfectly preserved ghost town”. Built by Akbar in the late 16th century, it was abandoned after only 14 years, and the elegant buildings of this superb walled city remain intact to this day. 17:30 Hrs - Enjoy Photo Tour of Taj Mahal from Mehtab Bagh — The Moonlight Garden, believed to have been designed by Shah Jahan to view the Taj on Moonlight nights, far away from the maddening crowd, The garden complex is situated on the left bank of Yamuna opposite to Taj Mahal. It is a huge square measuring approximately 300x300 m and in straight alignment with the Taj Mahal. The forestry plantations and agricultural fields provide a green forecourt to Taj Mahal and its reflection in Yamuna. 18:30 Hrs – You may wish to enjoy shopping in Agra is known for its fabulous handicrafts, made of marble and softstone inlay work. The Mughals were great patrons of arts and crafts. Empress Nur Jahan took personal interest and was an accomplished artist herself in zari embroidery work. Agra's major handicraft products besides inlay work are: leatherware, brassware, carpets, jewellery and embroidery work. 20:45 Hrs - After a memorable day, transfer to the Agra Railway Station where our representative will assist you in boarding your Train (Train No. 12001) back to Delhi. (Train departs at 21:15 Hrs, Dinner will be served on board). 23:30 Hrs – Train arrives at New Delhi Railway Station, where you will be met by our representative who will assist you in boarding your vehicle and drop you at your Hotel. 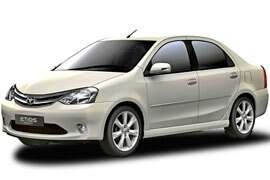 Railway station transfers with air conditioned private Toyota car & assistance in Delhi & Agra. Round Trip Train fare Delhi-Agra-Delhi in fully air-conditioned Superfast Deluxe train. 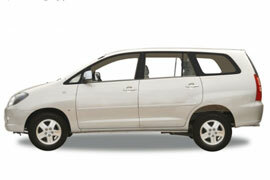 All sightseeing’s by air conditioned private Toyota car. Battery Bus Ride at Taj Mahal & Fatehpur Sikri from parking to monument & back.